The Birds of Armenia Project was instituted with the goal of promoting conservation awareness in Armenia and introducing its rich natural treasures to the world. It is hoped that through the project's publications (the Field Guide, Handbook, and the Map - available for purchase online) people throughout the world will gain an appreciation for these irreplaceable resources. 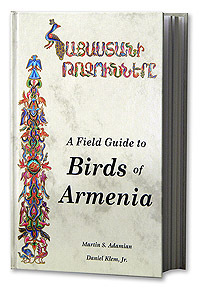 A Field Guide to Birds of Armenia clearly and effectively documents the bird life of a region largely unknown in the West but richly endowed with biological and cultural diversity. Here an international team of expert ornithologists shines the international spotlight on the fascinating birds of Armenia in one of the world’s newest and very best regional field guides.The authors and their expert collaborators describe the beauty and pleasure of Armenian birds and their diverse habitats. No other work offers such effective descriptions of Armenian birds. The detailed knowledge of species distributions and relative abundances will promote and ensure wise stewardship of birds as a valuable Armenian natural resource. An especially valuable contribution is the identification of species that are suspected or known to be at risk. Highlighting these species of special concern will encourage Armenian as well as international conservation efforts to maintain and,when appropriate, rebuild viable populations to these lands. A Field Guide to Birds of Armenia book release in Los Angeles, CA. 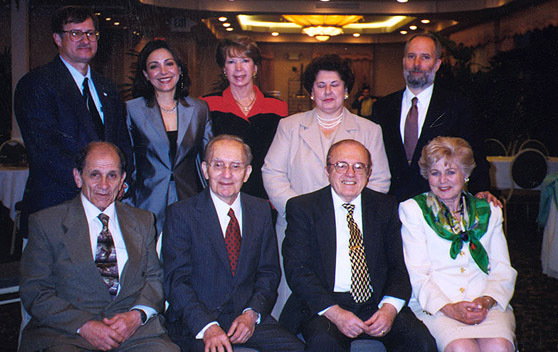 Standing (L-R): Daniel Klem, Helen Acopian, Bobbye Acopian, Georgia Hariton, Jeff Acopian. Sitting (L-R): Martin S. Adamian, Sarkis Acopian, Mihran Agbabian, Elizabeth Agbabian. 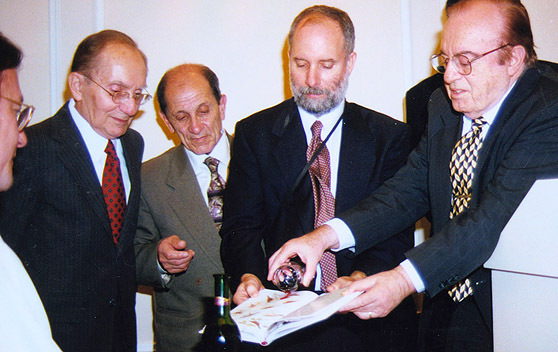 Former American University of Armenia President Mihran Agbabian pouring red wine into the book as a symbol of well wishing.